Along with the follow-up to 2007’s Hated On Mostly, the group announced a joint project from Princess and Diamond. Much has changed in Atlanta's rap scene since Crime Mob released their breakout single "Knuck If You Buck" in 2004. But, a decade after the release of their last album, the pioneering crunk group has reunited and announced plans for a new full-length in 2017. Over the weekend, Diamond, Princess, Lil’ J, M.I.G. 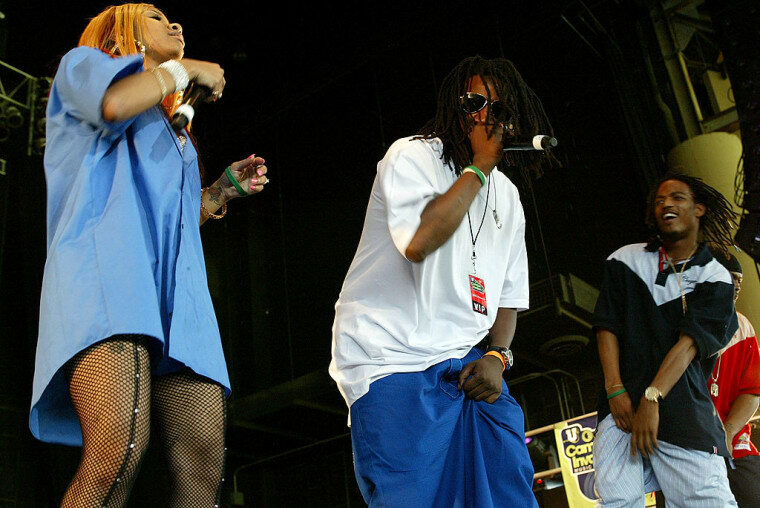 and Cyco Black took the stage at V-103 Live concert in Atlanta to perform past hits. After the show, they joined Big Tigger for an interview and announced plans to drop a new record this year. The group said that members Diamond and Princess are also working on a joint project. In 2016, the "Knuck If You Buck" instrumental was used to soundtrack Zay Hilfigerrr and Zayion McCall's viral smash "Juju On That Beat." Speaking about the song in the interview with Big Tigger, Princess said, "I didn’t like it until we started getting them checks.” Watch the full interview below.